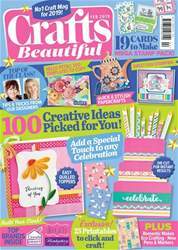 108 creative ideas; 35 designer cards; free decoupage kit; our fave new finds; over £2,000 of craft prizes! 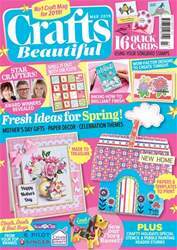 This issue is full to the brim with early-spring and Mother's Day inspiration, from papercrafts to super stitched makes. 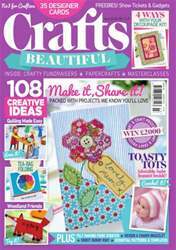 We chat to Stephanie Weightman and crafty mums and daughters, look at how to sell your crafts for chairty, and learn how to upcycle-adorn your home. 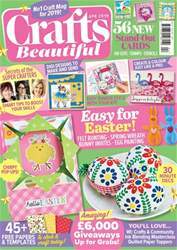 We gather a gorgeous trio of owls to make, recycle old watch faces for a charm bracelet, whip up a wide range of stunning cards, get back to basics with crochet and learn tricks with resists. 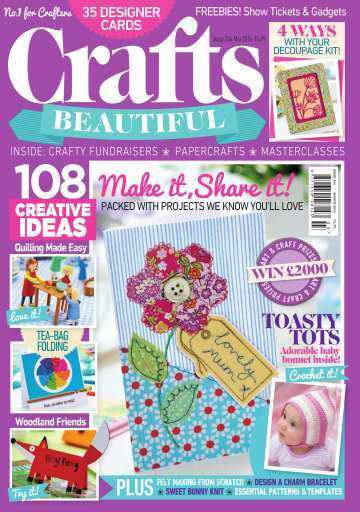 Plus, our free decoupage and frame kit can be used in a whole plethora of different ways. Enjoy!